It has been a while since we sent out a newsletter and there is a lot of exciting news to report. In May, members of Baltic Methodist Theological Seminary met with representatives of Asbury Theological Seminary and began serious discussions to launch a joint Masters in Church Planting degree program which could be completed by students at BMTS. In June, after 3 plus years of hard work, 14 students graduated from Baltic Methodist Theological Seminary. The graduating class included students from Estonian, Ukraine, Nigeria, and Latvia. BMTS just began a new session of school on August 23, 2017. All told, there are 22 new students which is a larger class than last year. We have students from Estonia, Ukraine, Finland etc. They are a good group. It is always inspiring to meet people who have answered a call for ministry. In summer Kulli participated in the Wesley Summer Seminar and spent a few weeks at Asbury Theological Seminary working on an article related to John Wesley’s Eschatology. Külli is also involved with a committee at UMC in Estonia to translate and publish Wesley-s 52 sermons in Estonian language for the first time. We hope to print by May 2018. 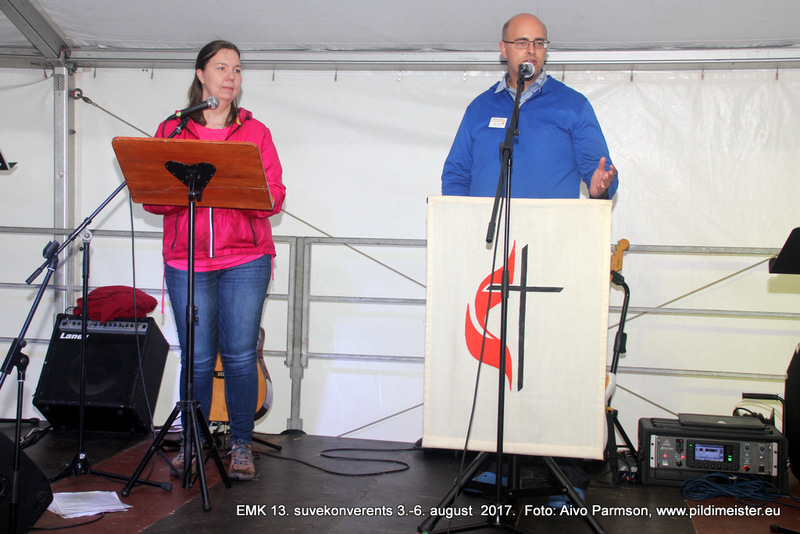 Every year Estonian Methodists come together for a summer conference. This year Doug presented (and Kulli translated) two sessions there. Our theme was Romans 12:1-2, making our lives a living sacrifice. It was a very good conference. Every night there were prayer teams ready to pray with people. We felt refreshed through that event. Our best summer days were spent camping with the Evangelical College Students who invited Külli to speak to them. We went as a family and took part of the entire experience. It was held on an island of Saaremaa where nature is particularly pure. 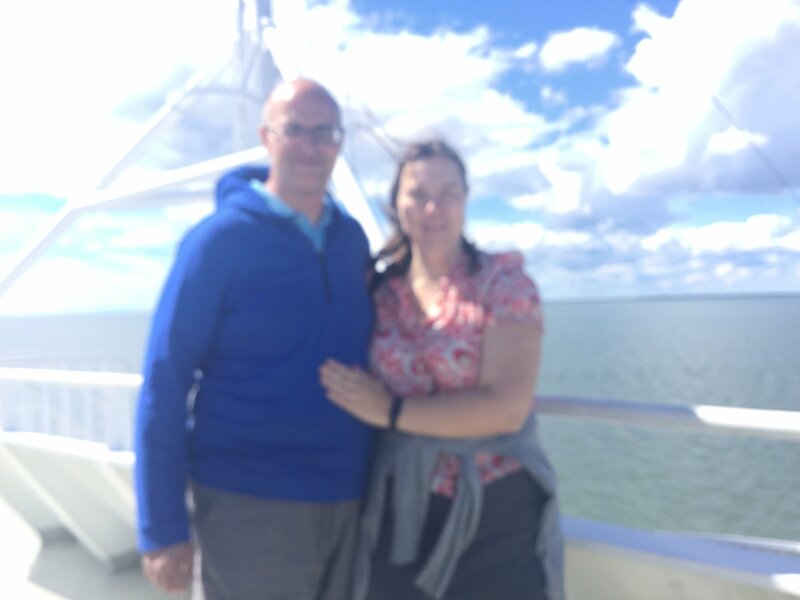 We enjoyed seeing a variety of plants and picking wild berries, and went swimming in 18C water of the Baltic Sea. Local people were very social and every interaction takes time. It took 30 minutes to buy a postage stamp at Saaremaa! It is easy to get caught in long conversations at a store over a loaf of bread or varieties of fish! The camp was hosted by an Orthodox church. Youth paid their rent in labor. So as part of the program we chopped and piled up wood. 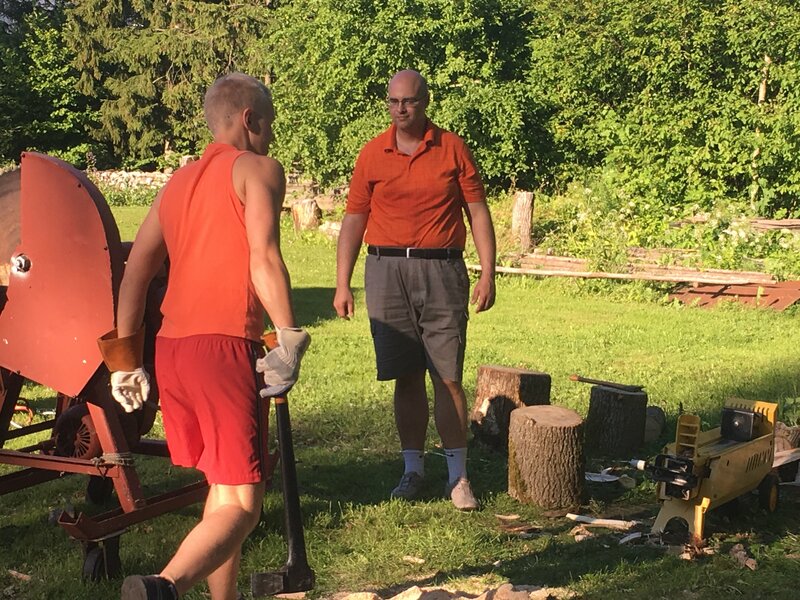 So the city folk go to an island to have fun chopping wood. And a lot of fun it was. Working together, not much speaking, but we all bonded well. We are friends forever for we chopped wood together. Our kids were taught how to chop, pile and drive a tractor. 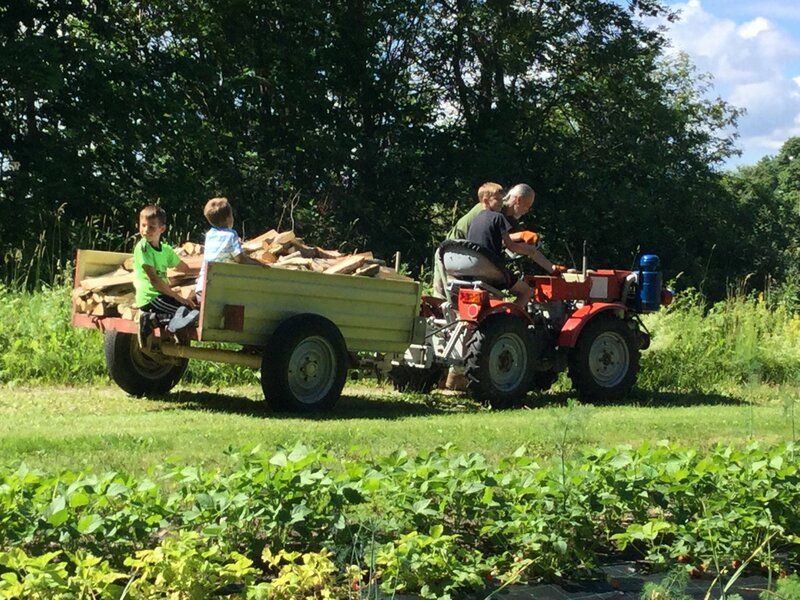 What do Estonians do with all that chopped wood? They heat their homes 9 months out of 12 and sometimes even in July. And they also have sauna. And a nice wood pile makes a very good background for a photo. Doug operated the heavy duty wood splitter at the youth camp. 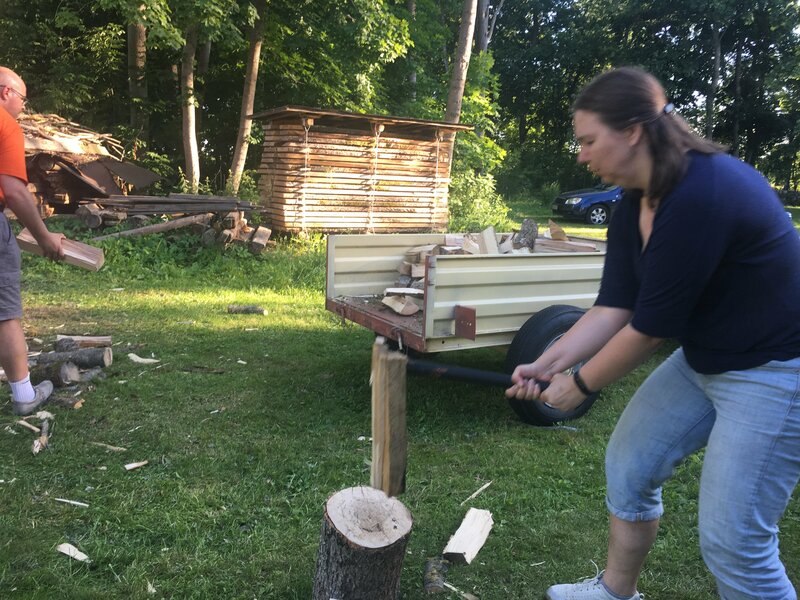 Külli chose the old fashioned axe to split wood. Karl, Kristofer and Kalev helped to load, transport and pile up wood. Please pray for Karl, Kristofer and Kalev. For their new year at school and kindergarten. Please pray for stability in Estonia and upcoming elections. During this summer we saw a lot of NATO planes. It was reassuring to us, but also a reminder that we live in a complex world. Please pray and support those who live in hurricane-ridden areas dealing with so much loss.